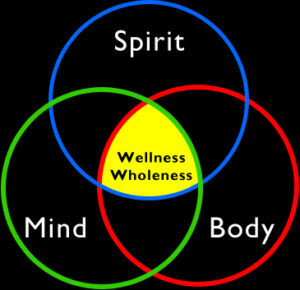 Throughout history, Native American tribes taught that we are all made of three parts – the mind, the body, and the spirit/soul. They believed that if one of the three were out of balance, the other two would suffer and so the tribal members made a daily effort to maintain harmony and inner peace by paying equal attention to the three basic elements of life. Here are 6 practical ways you can learn to connect with your own spiritual side. Understand Your Soul/Spirit Connection.Most of us have heard words like spirit, soul, and enlightenment. There are all sorts of mystical new age explanations of spirituality and spiritual topics. It’s easy to scratch your head and find yourself confused when learning about spirit and just as easy to conjure up images of ghostly visitors and angelic entities hovering above us. Forget all that, though, as you read the following simple definition of spirit. Simply stated, spirit and soul are said to be separate entities, yet connected. The soul is the essence of our being; it is who we are. Spirit is the flow of energy that connects our soul with our Higher Power. Our soul is our inner-self; it is the essence of our being. Spirit is the telephone line that connects our soul and a Higher Power and allows divine love to flow to us. Trust Your Intuition.If you listen very closely, you can hear it calling you. There is a silent voice that whispers gently in our ear telling us there is more to life than what we see and hear in this world. Learn to listen to your own inner voice. It is how we listen from the heart, as well as with our mind. When we learn to do both, we are picking up the telephone that connects our soul with our Higher Power. Find The Perfect Spot To Meditate.Whether we use the word meditation or prayer, what we are really doing is learning to listen to pick up the telephone and communicate. When we want to make an important phone call, most of us find a quiet spot before dialing the number, away from noise and other distractions. Find a comfortable spot to meditate, where you feel free to focus only on a two party conversation. Learn How To Meditate.Most people think of communicating with a Higher Power in terms of prayer or meditation. Personally, I prefer to use the termintense relaxation when connecting with a Higher Power. Intense relaxation sounds like two entirely different things, but it is not. We are relaxing our body and our mind in order to focus intensely on making a spiritual connection. To focus properly, breathe deeply in order to relax your muscles. Find the most comfortable position for you, which allows us to release physical tension and the “busy” thoughts that constantly flood our brains. If you find yourself drifting back to random thoughts – and we all do – take some more deep breaths and imagine sending unwanted thoughts off in a balloon filled with helium. The goal is to share an informal, intimate mental conversation with our Higher Power. It helps to imagine your Higher Power as a close and trusted friend, whom you’ve known all your life. The kind of friend you can share anything with, including your deepest secrets and darkest fears, knowing that your best friend will never judge you or betray your trust. This is exactly how meditation works – your Higher Power is always there waiting to connect with you. The more you practice, the stronger your spiritual connection will become. Meet Your Spirit Guides.This step requires an open mind. If you’re still reading this far down the page, there’s a good chance your mind is open to the concept of an afterlife. Faith and willingness to believe that you have a spirit guide are the keys to connecting with your own. While some people have reported communicating directly with their spirit guide, most of us have experienced a feeling that we are being guided, loved, and protected by an unseen energy at one time or another. Learning to meditate and trusting your intuition are two ways you can develop a relationship with your spirit guide or Higher Power, which many people have used to deepen their own spiritual awareness. Visualize Your Own Spiritual Connection.As you practice the 5 steps listed above, it helps to create a mental picture of the connection between your inner self and the universe of which you are a part. Imagine divine love as the source of everything that exists. Think of love as the molecules that fill the spaces of everything you see on a daily basis, ranging from the car you drive to the stars in the sky. The carpenter that built the walls of your home used his love to create a safe, warm shelter for others to enjoy. This love comes from the same source that created the flowers, the oceans, and the food we eat. You can feel your soul, even if you can’t see it. We can’t see the air we breathe, either, but we know it exists. Imagine your soul as one telephone, your Higher Power as the other, and spirit as the wires of love that connect us all. All happiness stems from a flow of love to you and from you. All emotional pain stems from a blockage of love to you and from you.